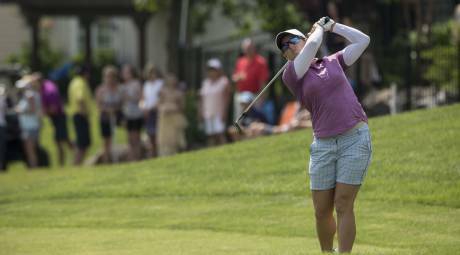 Top Annual Events in Pottstown, Pa.
Women's professional golf returns to Montco with the Valley Forge Invitational, at Raven's Claw Golf Club in Pottstown. The event features the up-and-coming stars of the LPGA Symetra Tour taking on the challenge of one of Montgomery County's finest public courses. No one knows for sure where the tradition of weaving ribbons around a maypole began (some cite medieval Germanic rites associated with spring). But there's no denying that it's fun to do and results in a colorful display. 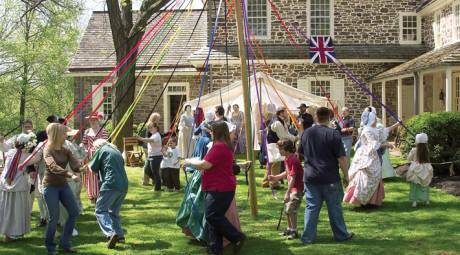 The maypole dance at Pottsgrove Manor is just part of a day's celebration that encompasses magic, puppets, crafts, living history and hands-on activities. 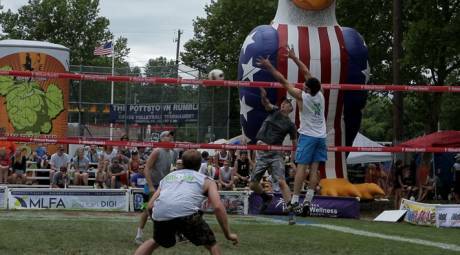 The Pottstown Rumble is the largest grass volleyball tournaments in the country and Montgomery County's premier sporting events. The multi-day event pays $5,000 for first place, drawing more than 2,000 competitors from across the region. 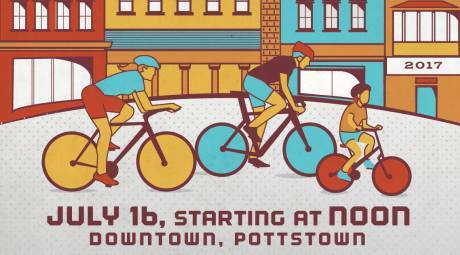 After returning in 2016, the Pottstown Bike Race is once again among the top cycling events in the region. Cyclists race through the downtown on a one-mile loop at speeds that exceed 30 mph in this exciting spectator event. More than 6,000 attendees, all eager for a taste of the town and the chance to view artistic creations of local vendors, attend the annual Carousel of Flavor in Pottstown. 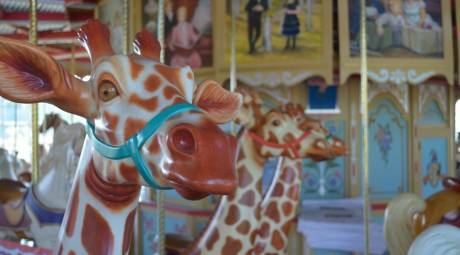 Proceeds benefit the ongoing restoration of the 1902 Carousel at Pottstown that is slated to open very soon. 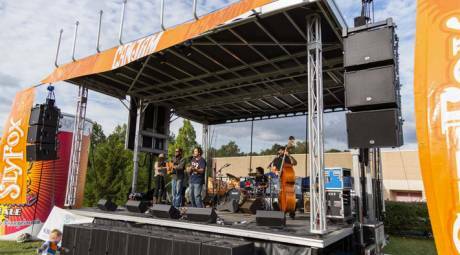 Sly Fox Brewery's annual Can Jam celebration is one of the largest free music events in Montgomery County. Don't miss the opportunity to grab a couple cans of the brewery's signature beers (all pay-as-you-go) and join in the largest KanJam tournament in the world. 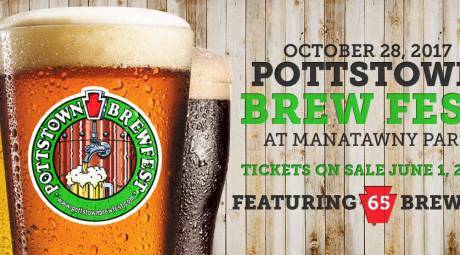 The annual Pottstown Brew Fest continues to grow every year with more than 150 beers and ciders from 65 craft brewers. 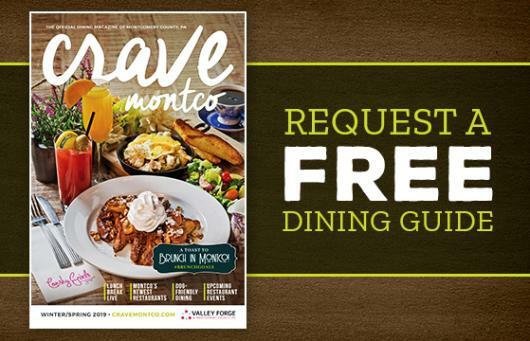 Local restaurants will also be on hand serving their best food to festival-goers. 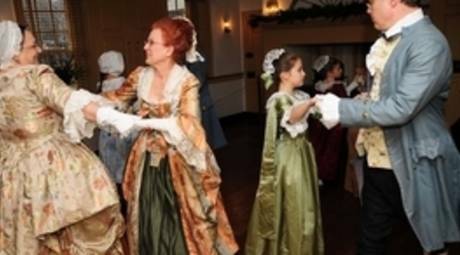 The hallways and stairwells of Pottsgrove Manor, the former Potts mansion in Pottstown, are lined with holly and greens, marking a Colonial Yuletide that is deeply rooted in English traditions.